The art work that I have chosen is Ethel Scull 36 Times created by Andy Warhol in 1963. It is comprises synthetic polymer paint and silkscreen ink on canvas. This picture is regarded as Warhol’s first portrait and its creation is itself an interesting story. Robert and Ethel Scull had made money through owning taxi companies in New York. Even though they were “new money” they knew their art – Robert had been a sign writer and Ethel had been an art student. They were interested in collecting art and much of their wealth had come from buying and selling Abstract Expressionist art. They were well known in art circles, where they were regarded as being argumentative and vulgar. Robert Scull commissioned Warhol to create a portrait of his wife Ethel. Warhol took Ethel Scull to an amusement arcade in Times Square and photographed her in a photo booth, creating twenty-four sheets each of four photographs. According to Ingram (2014) Ethel initially protested but gradually began to enjoy herself, at least partly because Warhol was continuously tickling her. Warhol then chose the best shots and enlarged them to make a 36-frame portrait. Ethel is reputed to have said “What I liked about it mostly was that it was a portrait of being alive.” This seems a good description of the energy that the picture expresses, captured by the camera in the photo booth, rather than by Warhol directly. Ethel Scull was the first of Warhol’s portraits. He then based all his portrait commissions on photo booth snapshots, until the 1970s when he moved on to polaroids. 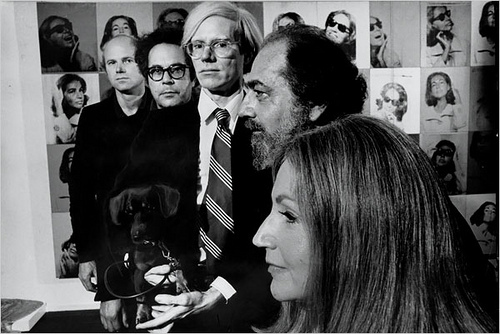 In June 1963, Harper’s Bazaar printed an article called “New Faces, New Forces, New Names in the Arts” and used as their illustrations some of Warhol’s earliest photo booth portraits, including one of himself and one of Henry Geldzahler, curator at the Metropolitan Museum of Art. This must have thrilled Warhol as it set him amongst the celebrity that he craved. Of course, it helped the Sculls in their desire to be accepted into “high society” also. Benchley (1967) said, “Pop art… turns both creator and collector alike into members of a new pop society. When Andy Warhol sits Ethel Scull… in front of an arcade photo machine and snaps away, the result may be art but it also puts Mrs Scull on the society page.” Bob Colacello (1971) said, “[Warhol’s] portraits transformed aging socialites into Venus de Milos, and their industrialist husbands into Florentine Davids—or at least, into Hollywood facsimiles thereof…” The critics and the sitters loved the portraits and Warhol was on the road to success. Portraiture enabled Warhol both to feed his obsession with celebrity and earn good money at the same time. Marquis (2010) says, “during nightly appearances at affluent dinner tables and charity events, Warhol diligently marketed his portrait business, pursuing what he called his ‘future victims. '” He sold around 1,000 portraits at an average price of $25,000 – a lot of money. In 1978, Henry Geldzahler pointed out that early on he had been struck by Warhol’s aching poverty “which had hit him like a ton of bricks.” The portraits put an end to Warhol’s financial problems and enabled him both to hobnob with celebrities and to become one himself. Portraiture had become regarded in art circles as rather old-fashioned and Warhol is credited with reviving it. He was not quite the first though. 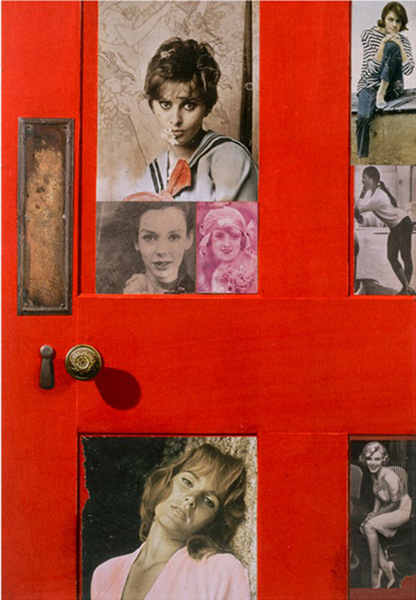 In 1954, Willem de Kooning painted Marilyn Monroe and in the late 1950s, Peter Blake created a series of “door” portraits, including of Franks Sinatra and the Everly Brothers. Sinatra Door comprised two rows of repeated images of Sinatra. Sadly, there does not seem to be a copy of this available to compare with Warhol’s repetitions. According to Robert Rosenblum however, Warhol revived the art of portraiture in the United States “practically single-handedly.” This new fashion did not go unnoticed and other artists such as Alex Katz and Robert Mapplethorpe were soon joining in. The picture seems to have been well reviewed at the time. 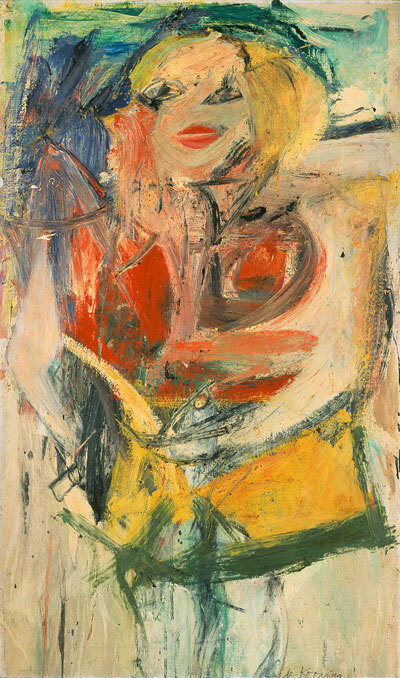 Geldzahler said of it, “Ethel Scull 36 Times (1963) I think, is the most successful portrait of the 1960s. It’s a new kind of look at a single human being from thirty-six different points of view. 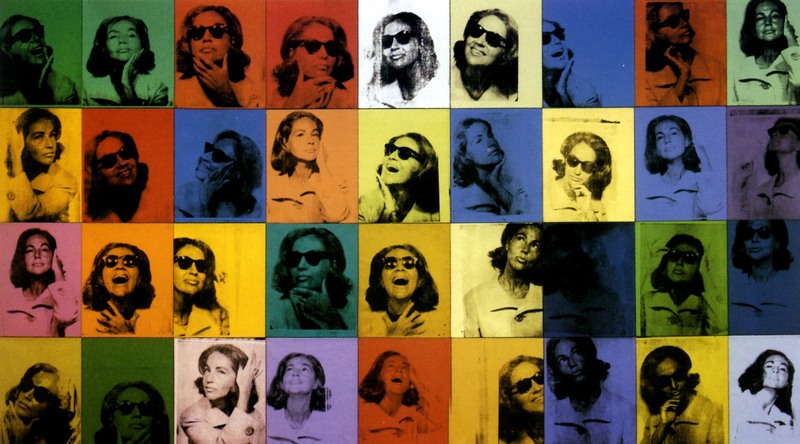 It’s obviously influenced by the cinema and by television.” All in all, this is the image that made Warhol’s reputation and led him to become internationally known one of the highest regarded pop art artists. Pingback: Warhol: Introduction & Table of Contents - MOOC Magazine!